Following the endorsement by all 193 Member States of the United Nations in September 2015, the Sustainable Development Goals (SDGs) came into effect in January 2016 as a universal platform to guide all countries to end extreme poverty, ensure quality education for all, achieve gender equality, fight inequality and injustice, and protect our planet by 2030. Due to its transformative power, education is key to the success of every one of the 17 new goals. In pledging to ensure 12 years of quality education for all children and lifelong learning opportunities for everyone by 2030, the goal on education (SDG4) is more ambitious in scope than any that have preceded it. 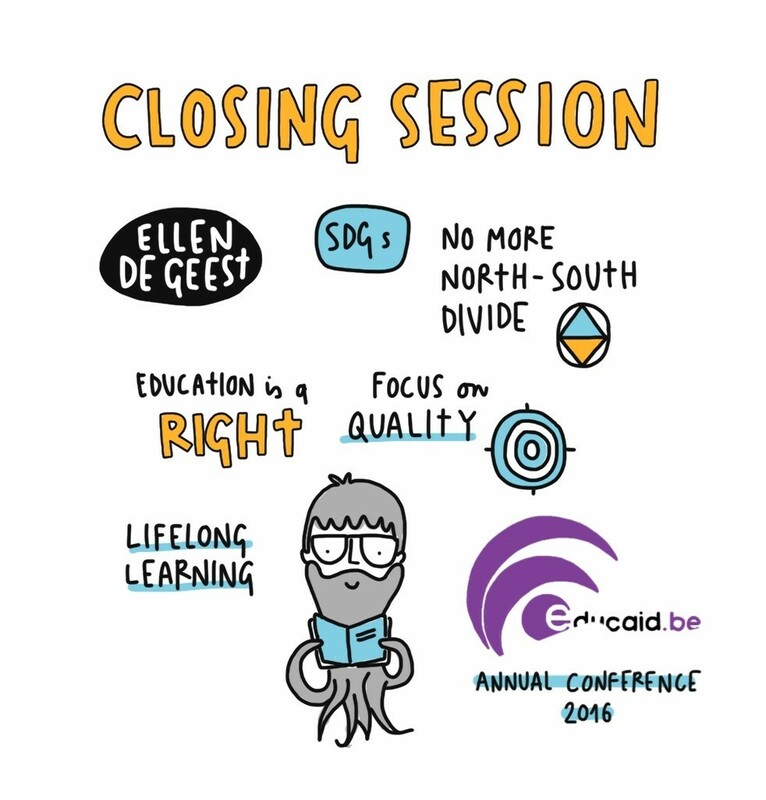 Educaid.be’s annual conferences aim to enrich discussion on education and development issues by giving the floor to academics and researchers, policy-makers and practitioners from all over the world. The 2016 conference examined a number of issues that shape the implementation of SDG4 – inclusive and equitable quality education for all. The conference started out with the official launch in Belgium of the 2016 GEM Report, providing a first update on the progress being made towards the realisation of SDG 4 and highlighting the contribution that development cooperation makes. The Education Commission for its part presented its recent report, The Learning Generation. Investing in education for a changing world, which challenges the international community to rally behind a bold vision to create the Learning Generation: getting all young people into school and learning within a generation. These two keynote speeches were followed by a panel discussion providing the views of civil society representatives and researchers on some of the key issues that shape the new paradigm represented by the SDGs. In the afternoon, three break-out sessions provided an opportunity for a more in-depth look at some specific challenges linked to implementing SDG4: measuring results; gender and youth: empowerment and employment; and quality early childhood education. In her closing speech, a representative of the Belgian Ministry of Development Cooperation addressed the impact of the SDGs on Belgian development cooperation policies, in particular with regard to education, one of its priority sectors.